Looking to upgrade your Crock-Pot or slow cooker? Here are some great new models to consider, in every budget. Whether you're looking for cute color schemes or cool features — including WiFi compatibility and the ability to sauté, steam, sear, brown and even bake — at least one of these models is likely to fit your slow cooking needs. Also available for $26 at Jet and for $45 at Amazon. 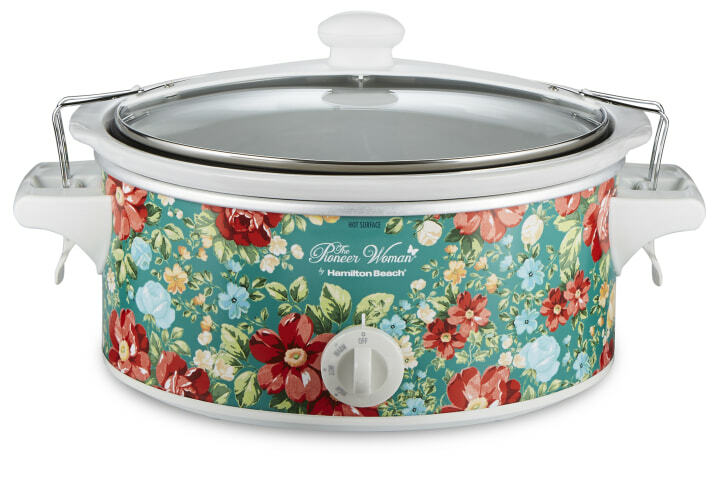 Fans of Ree Drummond love this Pioneer Woman-branded Hamilton Beach slow cooker, which comes in four different floral patterns. When the slow cooker was released, several of the patterns sold out immediately. The designs earned kudos from Southern Living and Country Living, and got more than 50,000 likes on the Pioneer Woman's Instagram. The slow cooker is inexpensive and easy to use and clean — both the inner stoneware and the lid can go into the dishwasher. The lid also locks in place, so you can take your slow-cooked meal to go, a feature that appealed to many reviewers on the Walmart website. Note that the slow cooker is a manual model — if you're looking for something you can program ahead, consider one of the other cookers on this list. Also available for $90 at Bed Bath & Beyond. This version of Hamilton Beach's popular programmable slow cooker comes with three programs for easy cooking: program, probe and manual. When using the probe mode, simply insert the thermometer into the meat and the slow cooker will switch to "warm" mode once the desired temperature is reached. Also available at Target and Amazon. 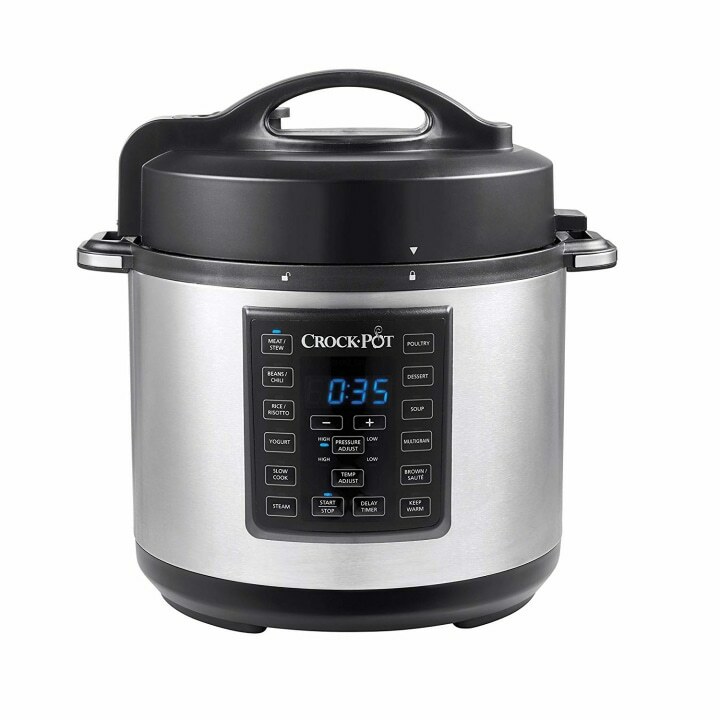 If you can't decide between a slow cooker and a pressure cooker like an Instant Pot, a multi-cooker like this one from Crock-Pot might be the right appliance for you. In addition to slow cooking and pressure cooking, this device also has brown, sauté and steam functions. 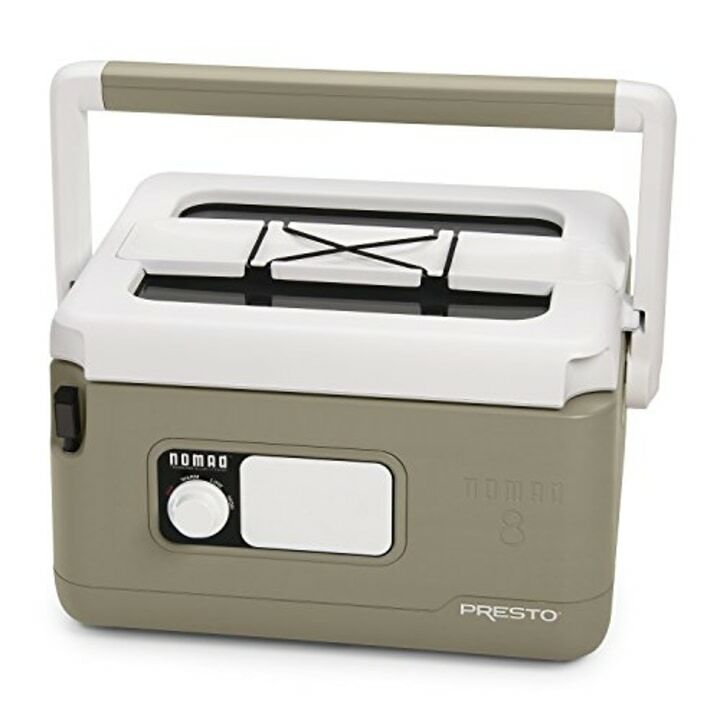 It's programmable and has eight preset cooking functions, including yogurt and dessert. With more than 1,000 reviews on Amazon, the cooker has a rating of 4.2 out of 5 stars. 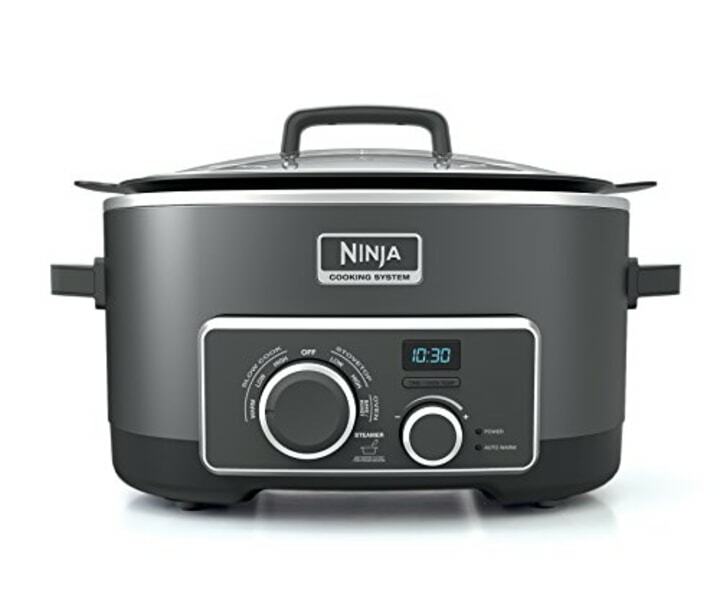 Another new option in the emerging multi-cooker market is the Multi-Cooker from Ninja, which has slow cook, stove top, oven and steam settings. 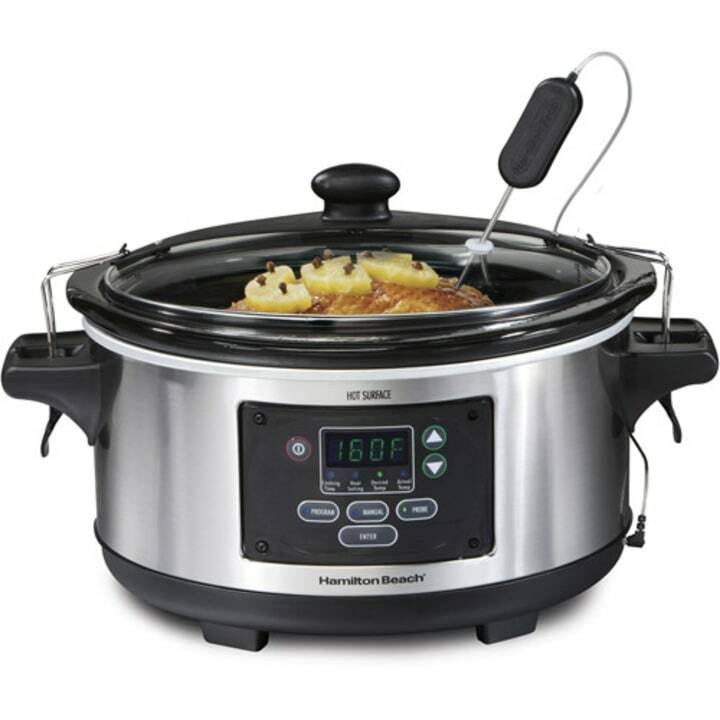 In addition to more traditional slow cooker functions, like making soups and stews, the multi-cooker can also stand in for an oven or toaster oven to bake cakes and roast meats. Also available in a smaller capacity for $60 at Target and Walmart. If you take your home-cooked meals on the road often, this slow cooker masquerading as a picnic cooler could be the ticket. A sturdy handle makes it easy to carry and the exterior is designed to be cool to the touch. Also available for $70 at Bed Bath & Beyond and for $80 at Crock-Pot. 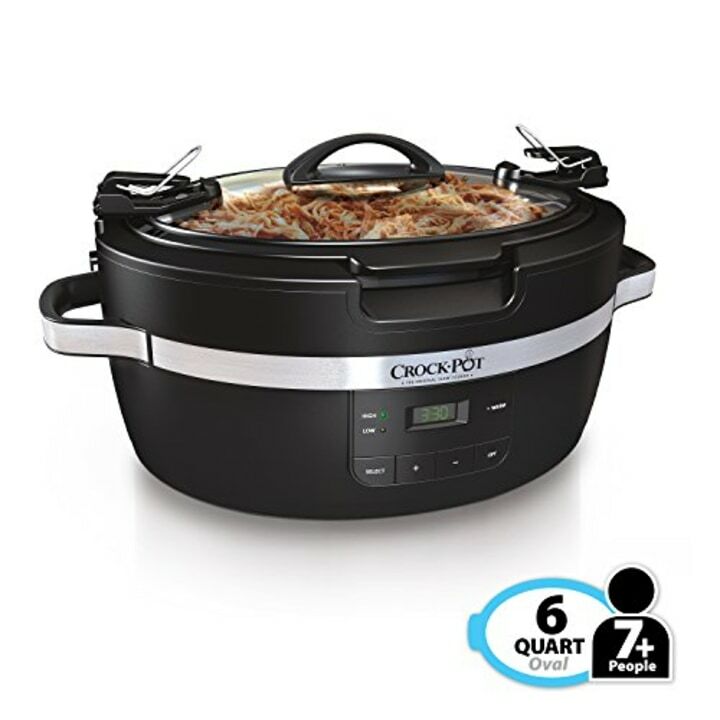 Another option for frequent potluckers and partygoers, this new model from Crock-Pot has a proprietary "ThermoShield" exterior designed to keep it cool to the touch and a locking lid to prevent spills.